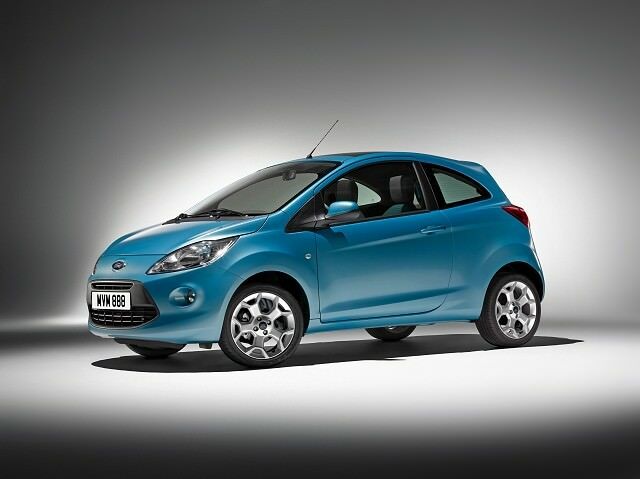 This second-generation Ford Ka replaced the much loved, and innovative, original. This second-generation Ford Ka replaced the much loved, and innovative, original. That car really kick-started the city car market, with its funky styling appealing to all. This replacement took a slightly different route, it losing the original's style, being a bit more conventional inside and out. It's also the product of collaboration, Ford's Ka sharing many components with Fiat's 500, the two cars actually sharing a production line. A small range for a small car: the Ka was offered with just two engines - a 1.2-litre petrol and a 1.3 TDCi turbodiesel. That diesel is all but impossible to find used, the 1.2 petrol outselling it by a sizeable margin. That's no surprise given its lower price when new, while the gap in economy isn't so huge that the diesel is needed in reality. The 1.2-litre petrol returns an official combined consumption figure of 5.1 litres/100km and CO2 emissions of 119g/km. Both those numbers drop in more recent cars, with CO2 of 115g/km. The early cars' trim line-up followed the Ford norm, with Studio the starting point, followed by Style, Collection and Titanium. Ford periodically offers the Ka as a special edition, these generally gaining alloy wheels among other additional free extra equipment. Not as clever inside as its predecessor, or as fun to drive, it's at least well built - while some bright details do make it feel cheery. Parking it is a cinch, though the view out of the rear isn't as clear as it could be. Specification is okay given its budget status, though Hyundai or Kia rivals will offer more standard equipment. The boot is a decent size given the Ka's small car status, but rear seat space is limited and access isn't great either. The 1.2 Studio dominates the used classifieds so it's the one to go for. Many more recent cars will still be covered by the new warranty adding peace of mind. Studio models have all the basic equipment you'll want, except perhaps air conditioning. This Ka might not be as much fun as the original, but it's still got the ability to put a grin on your face and keep your money in your pocket. Its biggest problem perhaps is the Fiat 500 with which it shares much of its mechanicals, as the 500 is brimming with charm, whereas the Ford feels a little bit dowdy in comparison.